FIRST Robotics Competition San Francisco Regional! The San Francisco Regional is graciously hosted by Saint Ignatius College Preparatory High School in beautiful San Francisco California. The excitement begins Friday March 15th and continues through Sunday, March 17th. Don’t miss this free event to watch an intense three-day competition, showcasing robots designed, built, programed, tested and operated by high school teams from all over the world. Click on the photo above for more pictures. 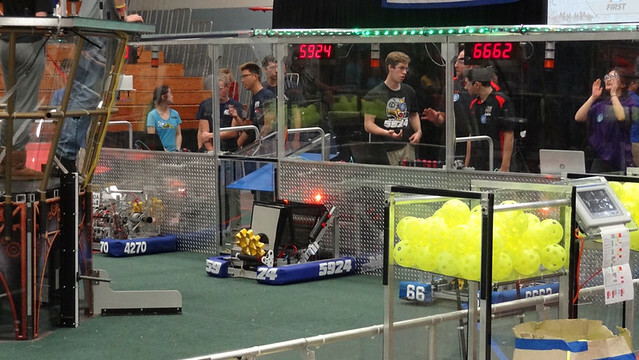 The San Francisco Regional has 43 high school teams (over 1000 students) from around the world. Checkout who’s competing this year, view event results, or watch it live here on March 15th – 17th.